"Silverthorn" is the tenth album and first to feature (Seventh Wonder frontman) Tommy Karevik. The album opens with "Sacrimony" which features (Arch Enemy vocalist) Alyssa White-Gluz playing one of the lead roles. Following that is "Ashes To Ashes" and " Torn" which continue the high paced feel of it. The record slows down with "Song For Jolee" which showcases the emotional qualities of Karevik's voice. Only to pick back up for the rest of the album. The last half is along the same lines with each track having memorable choruses and verses alike. The only track that is forgettable is the epic close "Prodigal Son". Musically, the record follows the same lines as the past three with its keyboard driven riffs. The major change here is the guitars are both more prominent and heavier than there past recordings. Vocally is where this record really shines. Tommy Karevik (once again, fangirl moment) has his own distinctive qualities while maintaining the style by previous singer Roy Khan. Truth be told, one who doesn't know the band's history would assume that Roy is still with the band. Tommy's voice is very polished and really holds the gothic feel akin to "The Black Halo". The melodies he creates remain in your head for days keeping each song unique and memorable. The lyrics here are well written and very poetic. To me lyrics are a huge factor of making a band go from good to great and in this aspect, they are great. The story is about a rich family who loses their only daughter In an accident. It portrays the bereavement, guilt, and the lies told by Jolee's family. The problem is the story feels anti climatic especially for a band of this caliber. The saving grace is each song stands on it's own rather than needing to be listened to at one listen unlike most other concept albums. 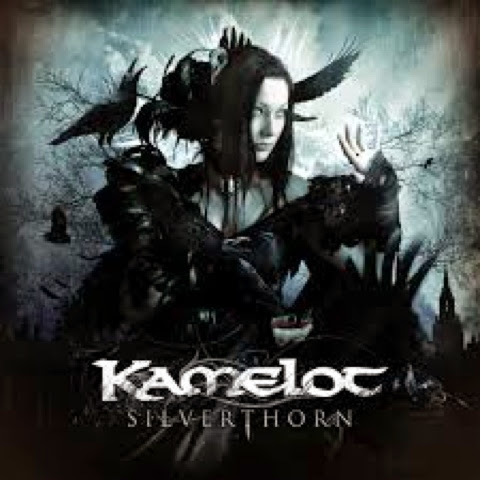 My personal opinion is this is Kamelot's best record and certainly their first great record since the aforementioned "The Black Halo". Anyone who has enjoyed their previous records must listen to this one. It is also a great starting point for a new fan. After buying both the (deluxe edition of the) CD and the (double disc, blue) vinyl, I'd highly recommend the latter.